22/02/19 - CEVAP: DEVRE ÖRNEĞİ - Robotistan Yetkisi, Merhabalar, Arduino ile örnek kullanımı https://arduinomodules.info/ky-024-linear-magnetic-hall-module/ linkteki gibidir. 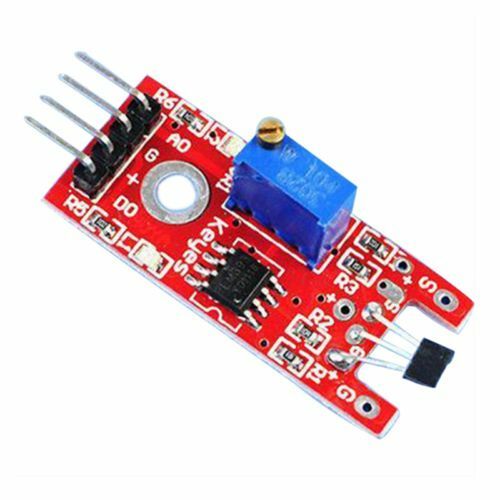 KY-024 Magnetic Hall Effect Sensor modul is a pcb breakout that generates output signal when it comes closer to an object drawing magnetic field. It is possible to sen precise level via the onboart trimpot. This modul is compatible with many microcontroller platforms especially Arduino boards. The board generates 0 V from output pin when there is not a magnetic field in close, and 5 V if it sees a magnetic field.